MONTREAL (July 1, 2015) – Montreal Canadiens general manager Marc Bergevin announced today the acquisition of forward Zack Kassian and a fifth round pick in 2016 from the Vancouver Canucks, in return for forward Brandon Prust. 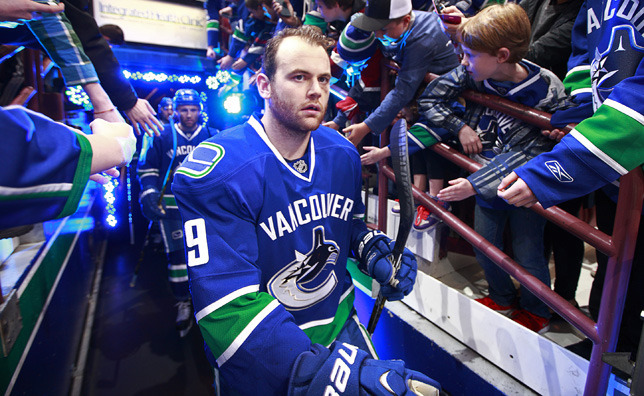 Kassian, 24, played 42 games with the Canucks in 2014-15 recording 16 points (10 goals and 6 assists). One of his tallies came on the powerplay while three others were game winners. The 6'3'' and 214 lbs forward also delivered 88 hits and served 81 penalty minutes with an average of 12:37 time on ice per game. Since making his NHL debut back in 2011, Kassian has played 198 regular season games with the Canucks and Buffalo Sabres. He has collected 66 points (35 goals and 31 assists) including four powerplay goals and six game winners. He served 307 penalty minutes. A native of Windsor, Ontario, Kassian was a first round selection, 13th overall, by Buffalo, at the 2009 NHL Entry Draft. A product of the OHL’s Peterborough Petes and Windsor Spitfires, he earned a silver medal with the Canadian squad at the 2011 World Junior Hockey Championship. Kassian also took part in the 2010 Memorial Cup tournament, recording five points (2 goals and 3 assists) in four games, helping Windsor capture the CHL championship. The 31-year old Brandon Prust registered 18 points (4 goals, 14 assists) in 82 games with the Canadiens in 2014-15. He led the team with 134 penalty minutes, added 122 hits and averaged 12:57 of ice time per game. The London, Ontario native joined the team as a free agent on July 1, 2012.